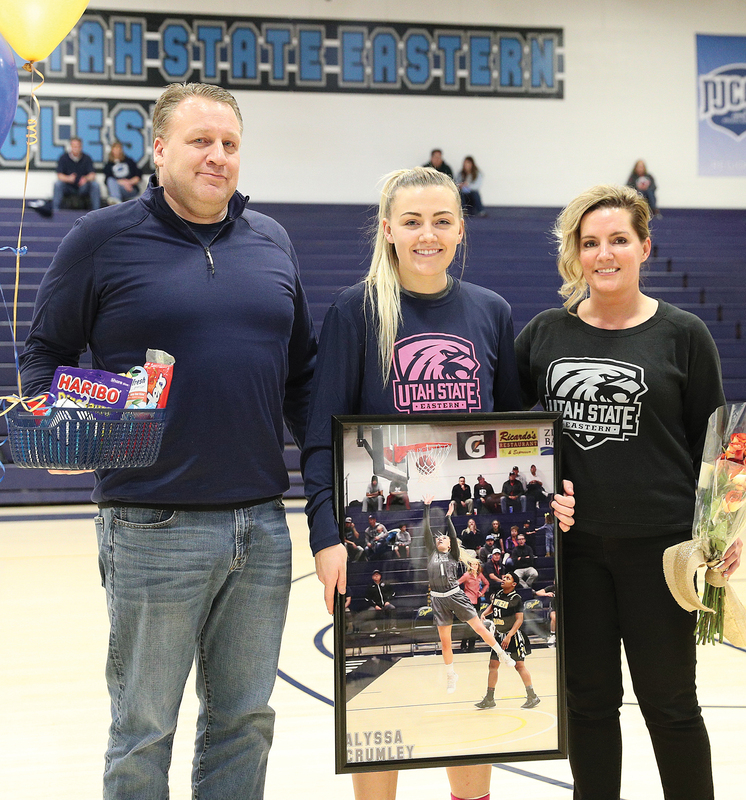 The Utah State Eastern Women’s Basketball team lost two out of their last three games, falling to Snow College and losing in OT to the College of Southern Idaho. They defeated Colorado Northwestern Community College last weekend. Both teams fought hard from tip off to the final buzzer with Snow making big plays in the second half to get the win. 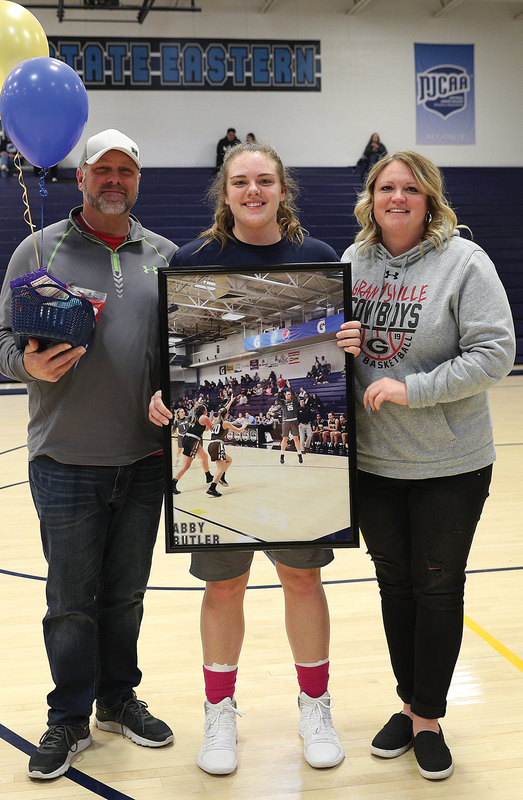 Snow was led by Megan Carr’s double-double of 12 points and 15 rebounds. USUE freshman Emmery Wagstaff put in a team-high 17 points along with five boards. Forwards Abby Butler and Morgan Toluono combined for 25 points and 15 rebounds against Snow. For the sixth game in a row USUE guard Lamija Coric scored in double figures with 11 points. As a team the Eagles lost the rebound battle by only one rebound, 34-33. The loss to Snow moved the Eagles’ record in conference play to 4-6 which put them in fourth place. They were a game behind Southern Idaho for third place with two games left. The Eagles defeated Colorado Northwestern Community College 82-65 on Feb. 21, in Rangely, Colorado. After a slow start for both teams in the first period, the Eagles were able to control the rest of the game and outscore the Spartans to pick up their second win in Rangely this season. 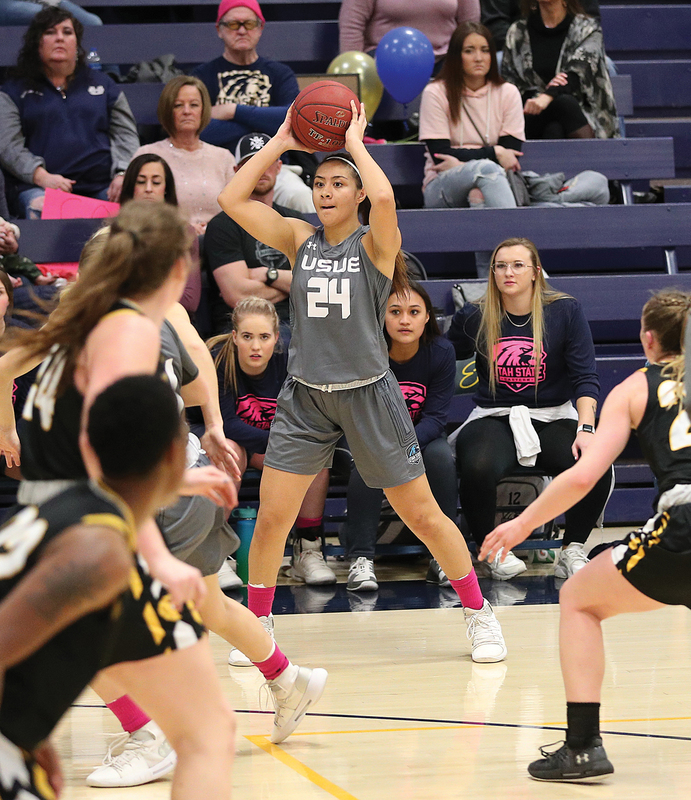 USUE shot 47.5 percent from the field and 35.7 percent from three on Thursday including shooting 70 percent from the field in the fourth quarter. On defense the Eagles forced 17 Spartan turnovers along with 10 steals. Freshman guard Amiperia Ti’a scored a team-high 20 points on Thursday in 34 minutes of play. Emmery Wagstaff and Alyssa Crumley both led the Eagles in rebounds with six boards apiece. Wagstaff finished the game with 16 points and a team-high four assists. Thursday’s win put the Eagles at 5-6 in conference play and 17-9 overall. 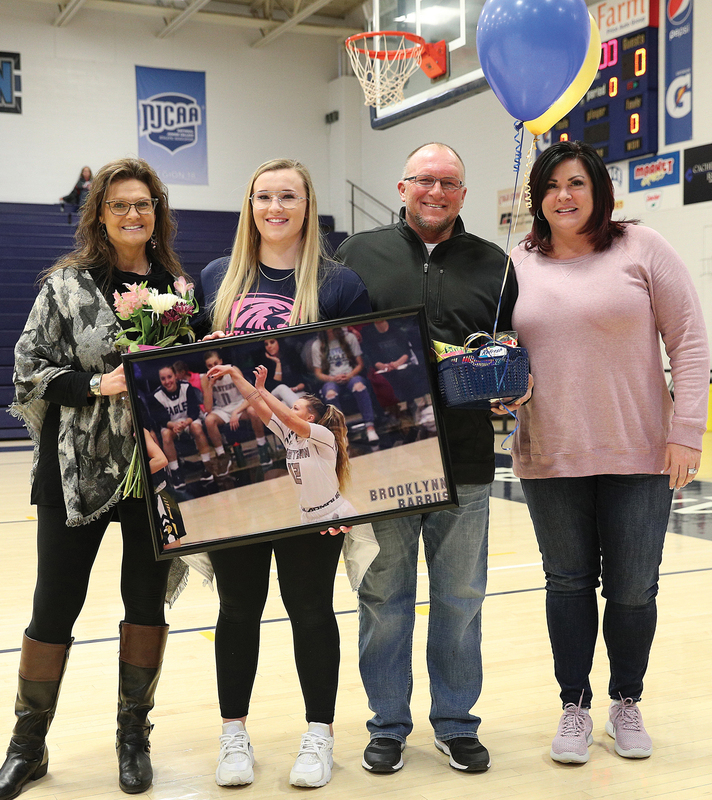 USUE hosted the College of Southern Idaho on Sophomore Night Feb. 23. In a hard fought game with Eastern having the lead most of the game, they lost to the Idaho team, 75-69 in overtime. The Eagles got off to a good start, leading 14-9 after the first quarter. 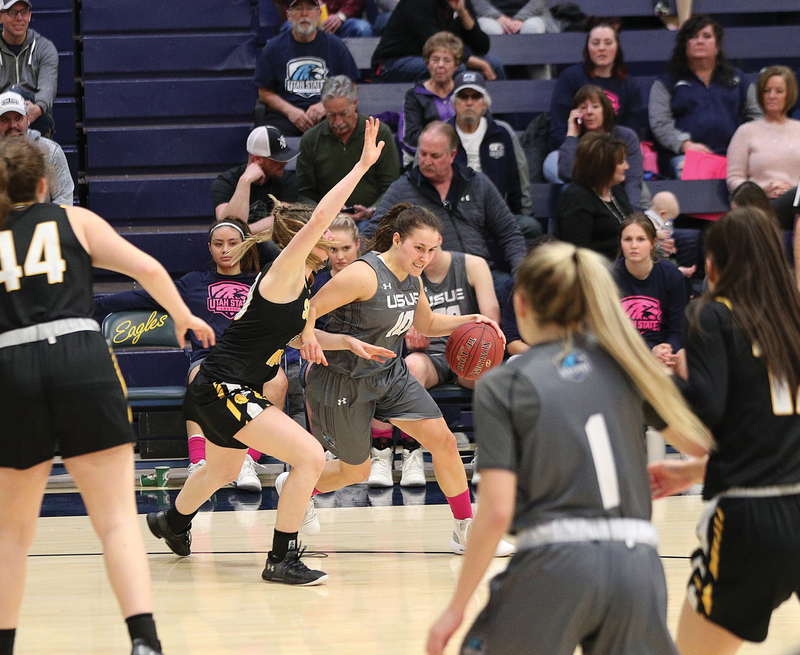 CSI was able to keep it close and USU Eastern led by one at halftime, 28-27. The Eagles kept rolling in the third quarter, outscoring CSI 17-13. Every time USU Eastern threatened to pull away, CSI would make a run and keep it close. The game went down to the wire, and both teams traded three-point baskets in the final seconds of regulation to send the game to overtime. After fighting hard all game, the Eagles ran out of gas in overtime, losing to CSI 75-69. “The team played hard and put themselves in a great position to win. Unfortunately we came up short,” head coach Chelsey Warburton said. Despite the loss, Crumley led the Eagles in scoring with 19 points on 6-12 shooting from the field. Crumley also led the Eagles with nine rebounds. Emmery Wagstaff contributed 17 points, including 3-9 shooting from three-point range. 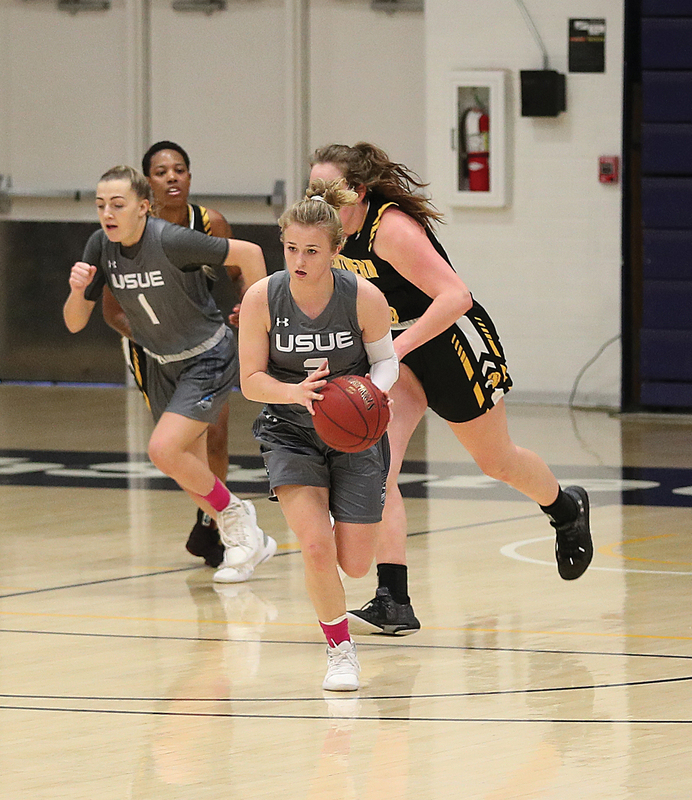 USUE is looking to rebound this weekend as the Scenic West Athletic Conference tournament gets underway Thursday, Feb. 28 at 5 p.m. The No. 4-seeded Eagles face CNCC, the No. 5 seeded team.